This is photo #23 (of 50) in a series about our life in Brazil. 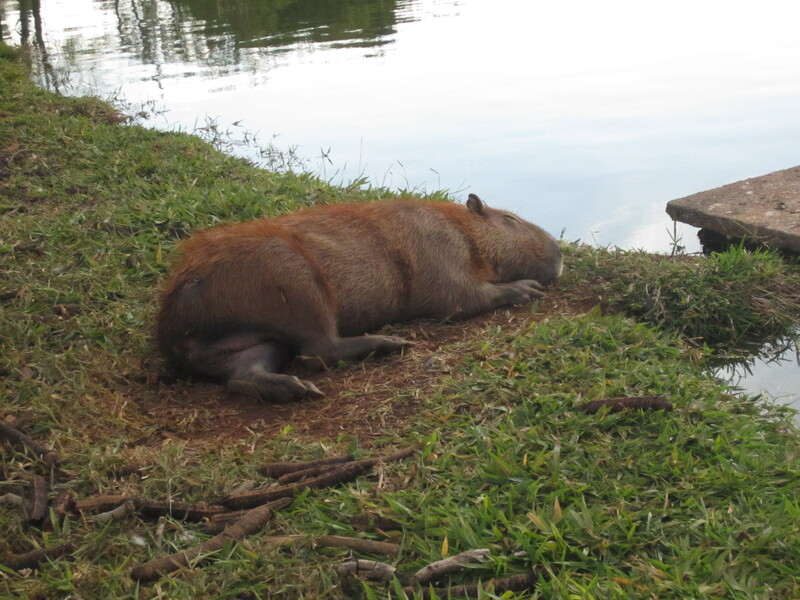 Brazil is the home of the world’s largest rodent. The Capybara (a close relative to the guinea pig) can be three feet long and two feet high. This one was in the zoo, but we’ve seen them in the wild as well.